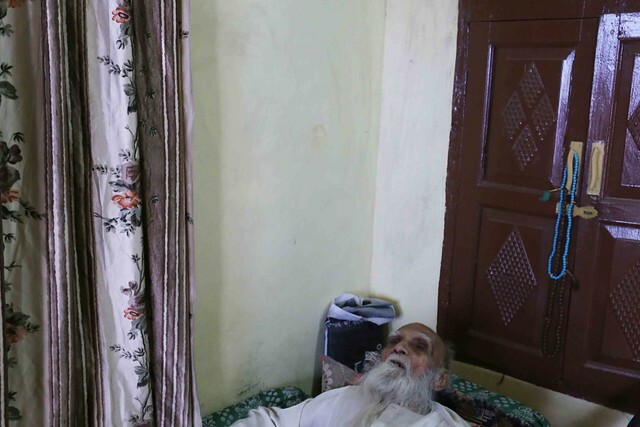 Naseem Mirza Changezi, born in 1910, died on 5.30 pm, 12 April 2018, at his home in the Walled City neighbourhood of Pahari Imli. He was ill since some time. His death was confirmed to The Delhi Walla by his son Sikander Beg. 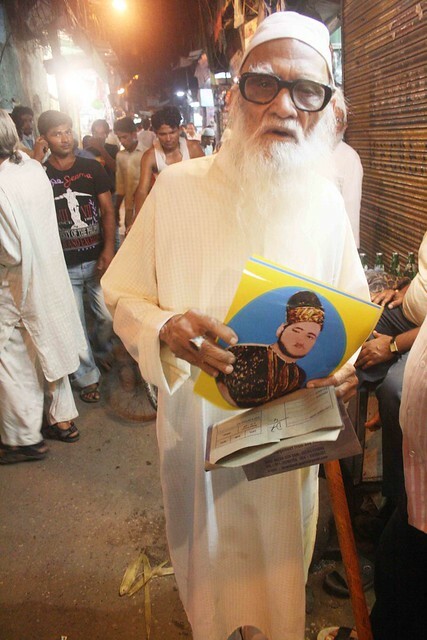 The Old Delhi’s living encyclopedia, Mr Changezi knew the stories of its every street, and was probably more important to the well-being of this city than the Red Fort or Jama Masjid. Anyone in Pahari Imli could tell you that Changezi Saheb was the 23rd descendant of the great Genghis Khan. 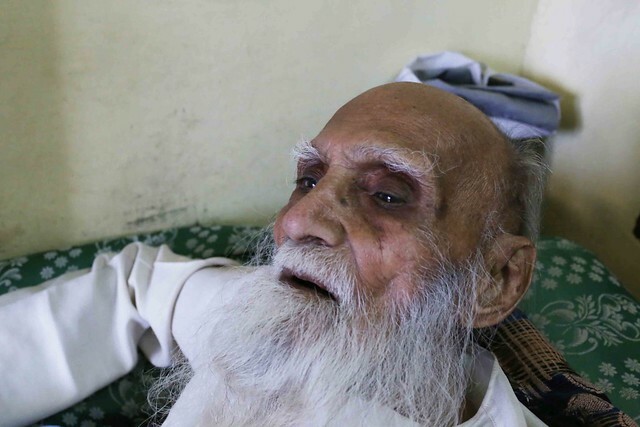 At 108, Mr Changezi was Old Delhi’s oldest man. He traced his family’s roots in the city to early-17th century when Mughal emperor Shahjahan laid its foundation—of course, then Old Delhi was known as Shahjahanbad. Mr Changezi has been the subject of a number of TV documentaries and newspaper features, most of which repeat his passing encounter with the legendary freedom fighter Bhagat Singh. Even the venerable BBC had been to his house—it is a picturesque conclave of minimalist arches, flute-shaped columns and breezy terraces. An alumnus of the historic Anglo-Arabic College, Mr Changezi passed his years collecting books in Persian and Urdu. 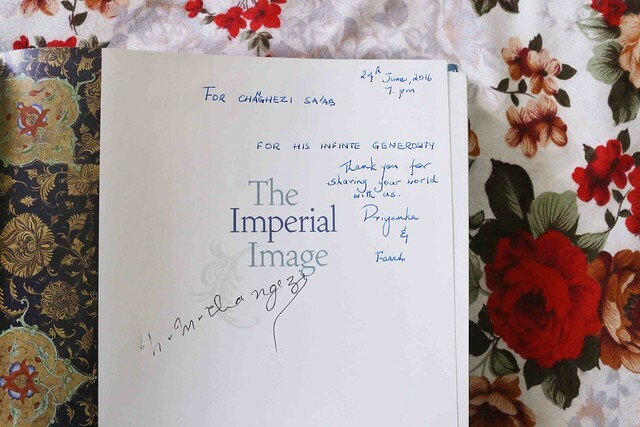 His precious collection includes a parchment that minutely details his lineage to the Mongol conqueror. Mr Changezi’s father was Mirza Afrasiab Changezi, whose father was Sohrab Beg Changezi, whose father was Mirza Shah Beg Changezi. Mr Changezi fathered seven daughters and two sons. They all live in Old Delhi (except for a daughter who lives in South Delhi and a son who is in Pakistan. 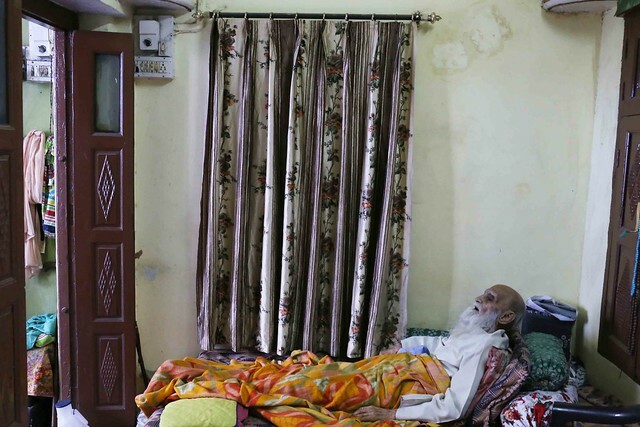 One daughter, who moved to Gujarat, died twenty years ago). Raeesa Khannum, Mr Changezi’s eldest child, lives in Chawri Bazaar. Rukhsana Begum lives in Pahari Bhojla. Ghizala Begum lies buried in a graveyard in faraway Ahmedabad. Mirza Sikander Beg Changezi, the eldest son, lives with him in Pahari Imli. Farida Begum lives in Farrash Khana. Mirza Tariq Beg, the youngest son, lives in Karachi. Uroosa Begum lives in Katra Gokul Shah. Rubina Begum lives in Zakir Nagar. 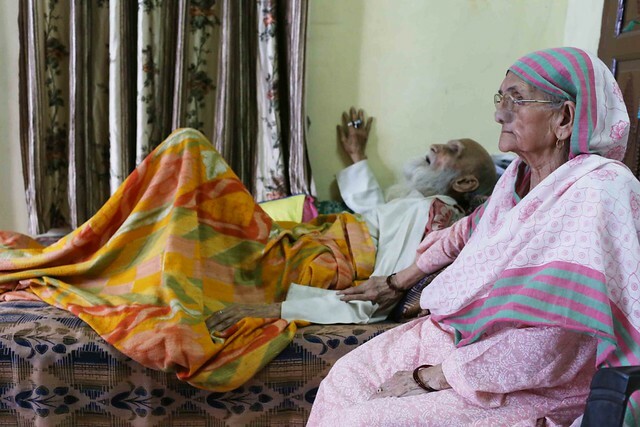 He was married to Amna Khannum, who survives him along with 20 grandchildren. He will be buried in Dilli Gate qabristan tomorrow morning. Inna Lillahi Wa Inna Ilaihi Raajioon !